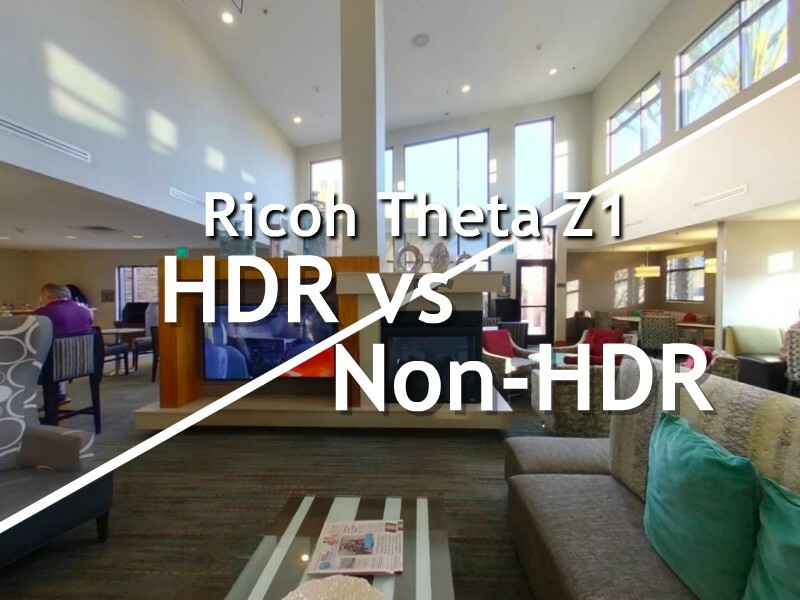 I updated my rolling review of the Ricoh Theta Z1 to add HDR comparison photos and the Lightroom DNG workflow. First, let’s talk about HDR. I’ve been conducting many tests of the Theta Z1 for a comparison video, and one of the things that’s impressed me is its HDR mode. Multi-shot HDR is nothing new to Theta, but in previous versions, I felt that the colors of the HDR shots were unrealistic — not just oversaturated, but the colors themselves seemed wrong. The Theta Z1’s HDR shots on the other hand, look excellent and close to natural, straight out of the camera. They look much more similar to what I would like to see. For those of you who prefer to do your own HDR, you’ll probably be interested in Lightroom DNG workflow. The Theta Z1 can take Raw+DNG bracketed shots with no apparent limit (seemingly as many shots as you want), and provides a workflow for stitching and fusing them. Interested? I thought so. See the Theta Z1 main article. Also check out Theta Unofficial Guide’s article about the Lightroom workflow for Theta Z1.